Combine our E-Commerce web design with our Payment Processing plans from Beanstream to accept credit cards on-line and automatically transfer funds from your customer’s credit card account to your banking account. Unlike a PayPal account, this solution offers full branding and tight integration with your Shopping Cart mechanism and lower rates. 1. A Merchant account. In Canada, you can get this from financial institutions such as Chase, Moneris, Global, TD (First Data) and others. In the US our provider Beanstream integrates very well with Wells Fargo merchant account providers. Ask for ONLY a merchant account, not the gateway payment processing account since you will get the latter from us. 2. A Payment Processing Gateway account. Beanstream, a Bambora company, leader in Credit Card Electronic Payment Processing, is our selected Payment Processing Gateway for our Professional E-commerce web design plans. See below for fees. 3. 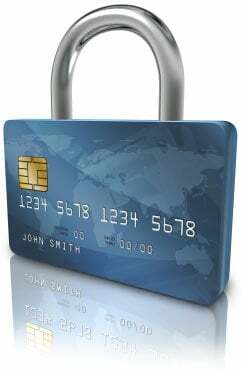 SSL security: This ensures that credit card information is encrypted and transmitted securely. Costs vary but if you are building a shopping cart E-commerce web site with us expect a cost generally around $100 for an SSL certificate. 4. Integration services: If you choose us for your payment processing, integration with a Beanstream Payment Processing Account is included in our fees to build your E-commerce website. COMMbits, as a Beanstream Authorized Channel, will help you choose the right plan and process your application form. There are two package categories to choose from: One for merchants who already have their own merchant accounts, and a second category of plans bundled with a new merchant account. Online purchaser is on the checkout page of your website and chooses “Pay by credit card”. Purchaser never leaves your website. Enters credit card information on that same page, which is protected with SSL security. Our server sends the information to the Beanstream Payment Processor which validates the transaction and if approved queues it for submission to the banking system for payment. Purchaser receives an immediate approve or decline response. Both you – the merchant – and the purchaser receive an e-mail copy of the payment receipt. The setup process can be overwhelming for most shoppers. However, COMMbits takes the hassle out of the equation, utilizing easy to understand methods and procedures. Integration is simplified and security is ensured with the use of the WooCommerce integrator for Beanstream. Payment Processing Accounts for merchants who have their own merchant accounts start at $99 setup, $35/mo and $0.45/transaction. Other plans include transaction fees as low as $0.05/tr. Payment Processing Accounts for gateway services bundled with a new merchant account start at $49 setup, $39/mo, $0.70/tr and a discount rate of 4.75%. Other plans include transaction fees as low as $0.15/tr with a discount rate of 3.50%. Please also include the cost for the WooCoomerce – Beanstream integrator, US$79/year (2016 prices). Contact us for detailed pricing schedule and a quote for your project. Will any credit card data be collected and stored on my website? No! For your and your customers’ maximum protection, no credit card information is ever stored on your website. It is not even possible for you, the Merchant, to see a purchaser’s credit card number. Yes. The Beanstream System comes with a Control Panel which other than extensive reporting also provides a web-based interface (electronic POS – Point-Of-Sale) to manually enter and process transactions. Can I use recurring billing, for example to charge monthly subscription fees? Yes. The Beanstream system comes with a Control Panel that allows you to setup recurring billing. You can choose the amount, the customer to bill, # of occurrences and how frequently. Can I void or issue returns on any credit card transactions? Yes, you can do that on your own very easily using the the Beanstream Control Panel. Note that “returned” transactions come at a small fee. Void transactions, which must happen shortly after a transaction has occurred, are free. Not if you are using the Beanstream electronic Point-of-Sale function, which allows you for example to bill a client over the phone, or if you are using the system only for recurring billing. However, if you are integrating a shopping cart with your website you will need an SSL certificate. Cost varies according to the package you have with us. In general, expect an average price of CDN$100/year (est.). We will take care of everything for you. Can the payment page be re-branded to resemble the look ‘n feel of my website? Absolutely! In fact, if you are building a shopping cart system, we use a special component that seamlessly connects the popular Woocommerce shopping cart for WordPress to your Beanstream account. Using this technology means that your website visitors never leave your website during the payment process.